Chavuma District Commissioner Benjamin Mufunga says the launch of the district task force on Contagious Bovine Pleuro- Pneumonia (CBPP) has the potential to control and eradicate livestock diseases in the area. 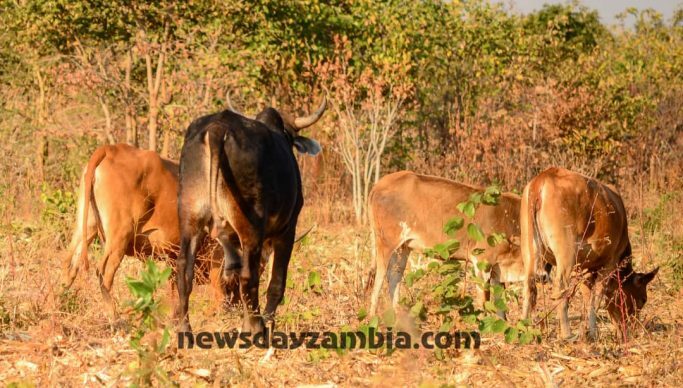 National Agriculture Information Service (NAIS) reports that Mufunga said the new measures would improve productivity of the livestock sector in Chavuma. The District Commissioner was speaking during the launch of the Chavuma District Task Force on CBPP control and eradication strategy held in district. He noted that the purpose of the task force was to bring together various stakeholders in the district in order to contribute to disease control. Mufunga urged Ministry of Fisheries and Livestock staff in the district to ensure livestock farmers acquire the necessary knowledge in order to participate in the activities of the taskforce. And the district veterinary officer Dr Masuzyo Ngoma said the main objective of the task force was to implement the ‘test and slaughter’ of cattle and further remove the source of infections within district and the county at large. Dr. Ngoma added that apart from the district task force, village task force would be formed in veterinary camps with the expectation of reporting any illegal movement of livestock as the ban was still in force. He further implored all livestock farmers in the area to voluntarily participate in the livestock control program and actively contribute towards the eradication of CBPP. Meanwhile, Chavuma District Farmers Association chairperson Teddy Mukwato commended government for including farmers in the control and eradication of CBPP.